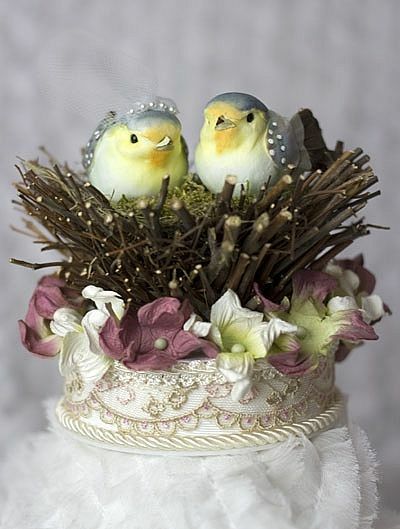 This sweet love nest cake topper features to adorable birds. 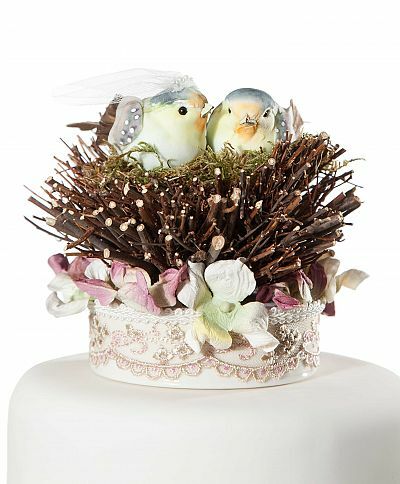 The bride wears a delicate tulle and pearl wedding veil. 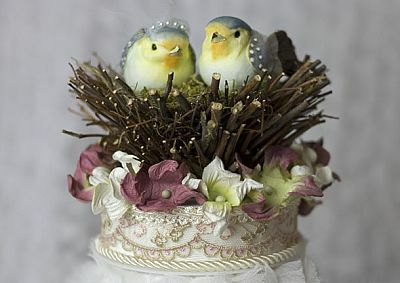 The two birds nestle closely in their natural twig and leaf nest resting on a bed of moss. 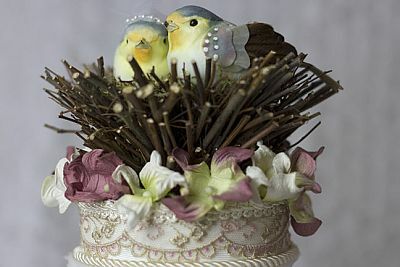 Their nest sits on mulberry styled paper flowers and an ivory base with antiqued french lace.